Free download on Ravelry here! This hat can be modified however you want! 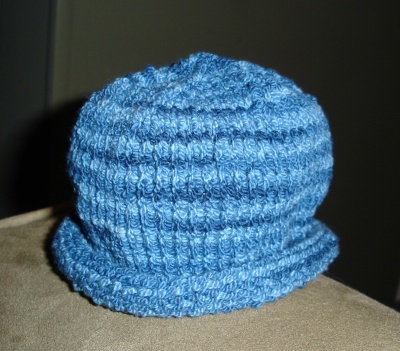 I’ve made it with a 2×2 ribbed edge as well as the plain stockinette stitch that easily rolls into a brim. This pattern is just for the plain stockinette stitch edge. Cast on 60 st. loosely. 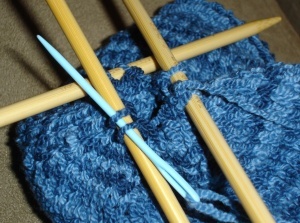 Place marker after last stitch and join to first stitch in the round, being careful not to twist knitting. 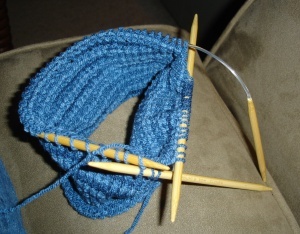 If using a circular needle, the stitches will be really spread out and taut, but as you start knitting every round, they will ease up and not be taut. 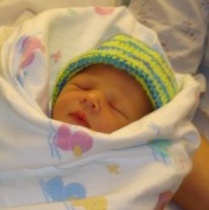 Knit every round until hat measures 4 inches. 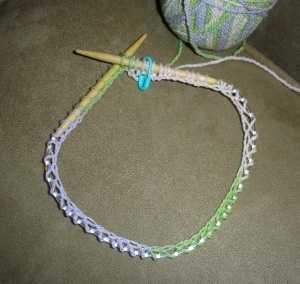 Mark the beginning of the round with a stitch marker (saftey pin). 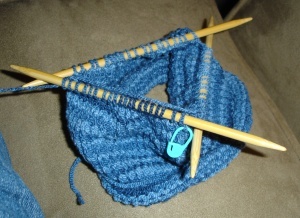 Switch to dpns (4 needles – stitches on 3 and one to knit with). To switch, begin at the start of the round and use the first dpn to knit 20 (1/3 of total) stitches, continue with second dpn, knitting the next 20 stitches, and finally the 3rd needle to knit final stitches off of the circular needle. Round 1: *K8, K2tog* repeat to end. There should be 6 stitches left. Cut yarn, leaving 6-9” tail, thread end on tapestry needle. 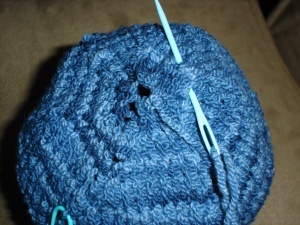 Start at beginning of round and remove stitches from dpns with tapestry needle onto the yarn tail. 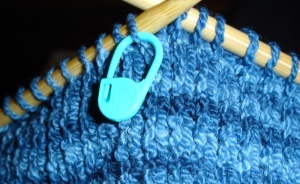 Pull yarn tail like draw string to close up the top when all stitches are off dpns. Pull tail through to wrong side of hat and weave into hat. Finish by weaving in all “tails” of yarn.